In the 23rd in a series of posts on 2015 books entered for The Story Prize, Kirstin Valdez Quade, author of Night at the Fiestas (W.W. Norton & Co.), discusses ways to keep herself engaged with her writing. When I began writing, it was all play: make-believe and dress-up and What If? It was exhilarating to lose myself in a fictional world, then reemerge hours later, spacy and dazed, my voice creaky from disuse. As my stories began to be published, as I began to earn my living from writing (or at least from teaching writing) that sense of play drained. I was getting what I wanted, but the fun was gone. On the most difficult days, writing began to feel deadly serious, and I’d approach my desk with anxiety—and as a result, it was harder and harder to achieve that immersion and loss of self. And so, as in a marriage gone stale, I discovered I needed to spice things up, to make a game of it. I began to give myself challenges. Often all I need to set my anxieties aside and to sink into the world of the piece is some specific, concrete problem to solve. Something manageable. The challenge might come as a formal constraint: to write in the omniscient point of view, to have the story take place in a single afternoon or in a single room. Or it might be based on content: say, to include a form of public transportation. Occasionally the challenges feel self-conscious, but the challenges are a tool, designed to get me into the world of the story. And once I’m there, I can do away with what isn’t working. None of this is original. The same theory lies behind the exercises in introductory creative writing classes. But my point is that these challenges don’t have to just be for beginning writers. A writer I know puts an animal in each of her stories. Other writers make sure to include a list of specific words. Not that the play is always fun, not exactly. The stakes still feel high, but they feel high because I am working through a puzzle, trying to understand my characters, and because I am invested in the work. The challenge diverts my attention and anxiety so that, almost in spite of myself, I can enter the dream of the story I am writing. Wait a minute, I thought. We’re starting with a dream? Before we even get to know the character’s name, we’re being asked to spend time in her subconscious? Before we even get a sense of what is happening, we’re being told what definitely didn’t happen, except in some anonymous lady’s head? Also, aren’t we all agreed that we should never, ever, ever talk about our dreams in polite company, because other people’s dreams are BORING, and maybe the only thing worse than subjecting a listener to our own dreams is to subject them to the dreams of a person who doesn’t actually even exist? MacGyver: Breaking into a story? In Nelson’s story, the dream pays off. It reveals what the protagonist knows but doesn’t know she knows; it reveals her deepest wishes and insecurities. At the time, I was working on a story called “Ordinary Sins,” about a young woman’s relationship with her priest. I was having trouble finding my way into the story so I set a challenge: to start the story with a dream. And the creepiness and the mystery of what I came up with became just the engine I needed to get the story off the ground. Writing is always about problem solving. 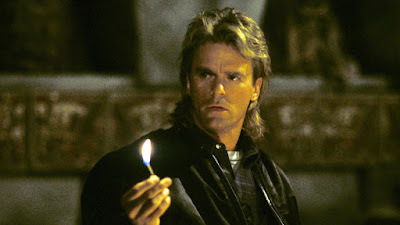 It’s about putting our characters in a situation with a particular set of props and limitations, and then watching them until they MacGyver their way to a story. And sometimes I need to give myself those props and limitations, too. Within constraints creative possibilities open up, and then I can get back to the serious work of make-believe. In the 22nd in a series of posts on 2015 books entered for The Story Prize, Joy Castro, author of How Winter Began (University of Nebraska Press), discusses her literary touchstones. For literature professors, rereading books is a pleasant hazard of the job, and I've returned to many moving novels, essays, and poems over the years. My favorites, though, have been Sandra Cisneros's The House on Mango Street, Katherine Mansfield's stories, and Jean Rhys's Voyage in the Dark. 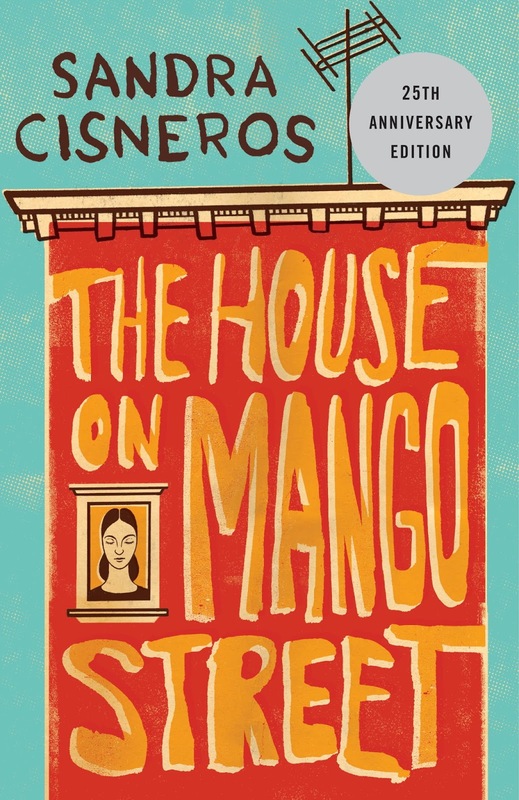 The House on Mango Street was Cisneros's breakout book, the one that famously put her on the map as a major force in American letters and a progenitor of the Latina boom in the 1980s. It's a stunning collection of vignettes that arc like a novel. The language is lush, the imagery vivid and frequently synesthetic. It's a coming-of-age story of a Latina girl living in poverty in Chicago, but it's also a Künstlerroman, and its culmination resonates with the end of the epic Gilgamesh. That is, while it's accessible—and even deceptively slight—it's also complex, layered, and brilliant. But it's understated about its achievements: It's deftly, effortlessly powerful, not showy or straining. I love the story behind the story, too: Cisneros had grown sick of the hothouse atmosphere of the prestigious MFA program she was attending, and when the workshop group had to read Gaston Bachelard's The Poetics of Space, in which the house symbolizes a source of shelter and protection for the dreamer, she decided to write instead about the kinds of dwellings she had known as a poor girl growing up with racism, about instability and poverty and shame. And that material unleashed her voice. Katherine Mansfield, known for her brilliant short stories, is credited (along with Chekhov and Joyce) with being one of the three key shapers of the form for the twentieth century. She works with a light, precise hand, focusing often on children and families, and often on class divisions. (Mansfield, who grew up in a comfortably bourgeois home in New Zealand, was disinherited for choosing a bohemian, artistic life in Europe, and struggled with a variety of troubles until her death at 34.) From Mansfield, I learned about the craft of rhythm in epiphanies and the power of color imagery. Her stories, swiftly and nimbly told, often pivot on an episode of quiet violence. They're unforgettable. 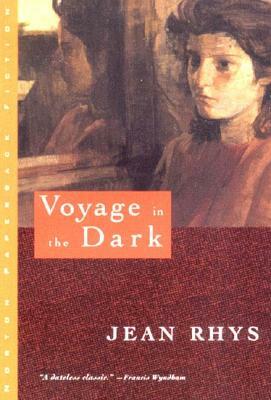 Jean Rhys's Voyage in the Dark is less well known than Wide Sargasso Sea (and less scandalous than Quartet), but it's my favorite; it talks back in crucial ways to Conrad's Heart of Darkness, and in terms of content and style, it's utterly fearless. It was the first book Rhyswrote (though not the first she published; she carried the manuscript around in a suitcase for years), and it's a stunning evocation of a displaced young woman alone, penniless, and powerless in a large city. It's also a clear-eyed exploration of the legacy of colonialism and slavery in the Caribbean, where Rhys and her protagonist were born and raised, and of how we cannot leave the past behind—how it continues to work itself out upon and through our bodies and psyches. In her prose, Rhys makes radical, fearless leaps, assuming the intelligence and creativity of the reader. I like that respect, and I try to show it to my own readers. Spelling things out is the condescending kiss of boredom, and Rhys always keeps us awake. The 2015 judges for The Story Prize are: Author Anthony Doerr, Brooklyn librarian Rita Meade, and New Yorker staff writer Kathryn Schulz. Since its inception, we have included judges from a variety of fields associated with short fiction. Past participants have included writers, editors, booksellers, librarians, critics, journalists, and academics. Each judge's task is to read the three books we choose as finalists and choose one as the winner. We'll announce the three finalists in January. And we'll announce the winnner—based on the votes of the judges—at our annual event at The New School, on March 2, 2016, this time around. Anthony Doerr won the 2010 Story Prize for his collection, Memory Wall. 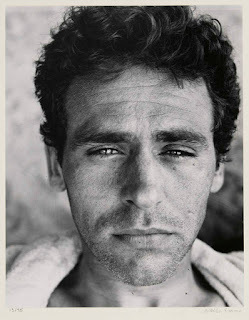 He also won the Pulitzer Prize for his novel All the Light We Cannot See, among his many other honors and awards. Rita Meade is a public library manager in Brooklyn. She's a contributing editor and Dear Book Nerd podcast host for Book Riot. She also occasionally blogs about library-related topics, and even less occasionally sings in a librarian band. In the 21st in a series of posts on 2015 books entered for The Story Prize, Austin Bunn, author of The Brink (Harper Perennial), praises the method of a famous man. So I copied it. And for years, I’ve kept running catalogues of “Plans for Work” in my journals, if only to remind me of where I’m at, what remains, but also where I thought I’d be going. I’ve never been a monomaniac about my work—I know certain writers counsel having one project to focus on and another project you cheat on that project with. I’ve always been more polyamorous, I suppose, and the “Plans for Work” lets you see your creative life from above, tunneling out before you, even if you never transit through. Recently, exhuming boxes from my sister’s garage, where everything in our family seemingly ends up, I found one of my oldest journals from college, the one with near-translucent pages the thickness of moth wing, where I mused with mandatory calligraphy pens. Some elements have been lost to time —mercifully, “balloon story”?—but others staggered me, since apparently I’ve been thinking about these things for years and forgotten, only to have them resurface in my prose subconsciously. A story about a “molecule of heaven”—one I imagined somehow two decades ago—nears completion. A script about a natural element that achieves consciousness —a dream I had—still seems to me to be a fairly decent idea. And finally, others remind me of just how far I’ve grown. At the top of the list, for years, was to be a soon-to-be-vastly-underrated play, entitled “my last ten days,” about a blocked, young, tortured artist who tells his friends and family he will be suiciding and then proceeds to turn every (final) interaction into his last works of art. I could see the final, climactic rip of canvas. I could hear the tears. What I know now is that I was not the playwright but protagonist, seeking so deeply the material of life, the depth of meaning death might bring. “Plans for Work” does this for us—it is less about the projects themselves, but the capture of what we are thinking about, what concerns us, how we can know ourselves better in the things we want but will never do. In the 20th in a series of posts on 2015 books entered for The Story Prize, Sandip Roy, author of Don't Let Him Know (Bloomsbury), discusses his impulse to write and his hidden influences. I work as a journalist but think of myself as an eavesdropper. Whether I am on a bus or at the gym or at a party, I love listening to snatches of conversation, even if it’s out of context, and then imagining lives around them. As a child, I used to kick a small piece of Lego around the house, from terrace to verandah to living room. I called it my “kickabout” and it would kickstart my creative process. The stories I wrote were juvenile, derivative of whatever I was reading at that time. I remember a “novella” which I hand-wrote based on the song "Puff the Magic Dragon" but liberally influenced by The Hobbit. But in the end, as has been said, writing is an act of remembering. And Don’t Let Him Know, while not autobiographical, is very much an act of remembrance. Like the great-grandmother in "Great Grandmother’s Mango Chutney," I too grew up with a great-grandmother, my Majononi. I was lucky to have her around into my teens. She, like my character, had a cast-iron stomach and great appetite for things she was not supposed to have—the more deep-fried the better. While Boroma in my book is not the Majononi I grew up with, it was indeed a pleasure to remember her voice again as I wrote and to hear her voice in my head again after so many years. Very often a story begins with a scene. For me, Don’t Let Him Know flowed out of an image I had in my head. A woman and a child standing on a terrace looking at the street below them, a market street somewhere in Calcutta. A man is walking down that street looking up at them. The relationship between the trio is unknown. But I could see that scene clearly in my head and the street, I must admit, looked not that different from the street I grew up on. But I was intrigued by that tableau and my story went backward and forward from that point. In the end that scene is neither at the beginning nor the end of the book. It is however the last scene in the chapter "Games Boys Play." While for most readers it will just be another scene in the book, for me it is the moment the book stops and catches its breath. It is the still-frame of the book and everything rewinds and fast forwards from it. However in general, I have often found whether I am writing fiction or in my journalism, it is hard for me to begin if I do not have a first sentence and a last sentence in mind. Perhaps it’s my training as a software engineer, but I need Point A and Point Z in my head, and then I can work my way logically step by step from A to Z. The final product might no longer have the Point Z at the end or the Point A at the beginning. But to start I need to have a beginning and an end in my head. Some of the influences in my work were so hidden I did not even realize them myself. I grew up in South Calcutta, which is not the part of the city you see in films that feature the city. 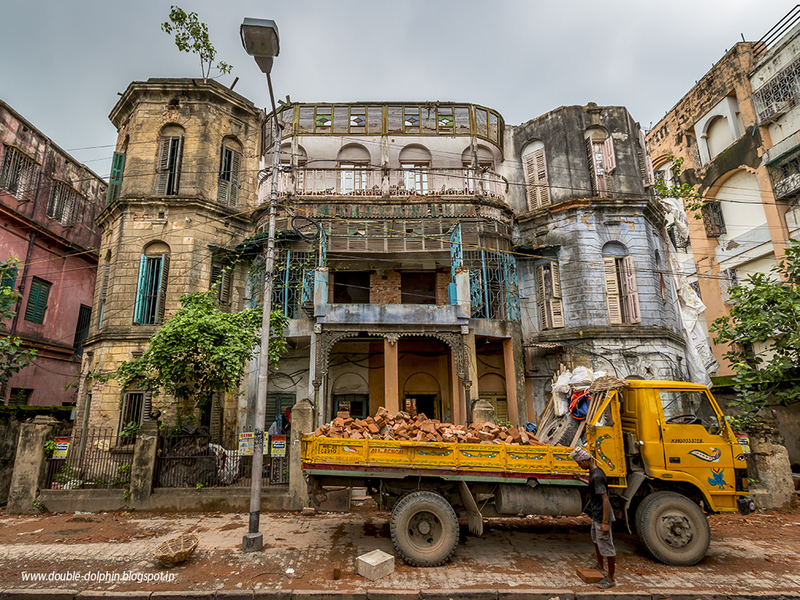 The grand mansions of North Calcutta are regarded as the historic part. The sweeping Howrah Bridge is the quintessential iconic Calcutta landmark. But South Calcutta with its single family homes with balconies with wrought iron railings and its front porches and its shady trees, was not regarded as anything exceptional. Perhaps because they were not regarded as special, these houses are being demolished at an alarming rate and replaced by cookie-cutter characterless apartment blocks. Though I did not think about it while writing it, Don’t Let Him Know is very much a South Calcutta book, the lives its characters lead intertwined with the neighbourhood. The other influence I realized was that this is a book about terraces. It is only in re-reading Don’t Let Him Know that I realize so much of the action happens on terraces. This is where a young Avinash and Sumit dream, fantasize, and explore tucked out of sight of the bustling world. This is where a young Amit comes to hide a broken watch. And the terrace is where a young Romola learns hard truths from the neighbour’s servant boy. In a city like Calcutta, terraces were where we played games, conversed with neighbours, romanced, and hung out the washing. They were our social media before Facebook and WhatsApp. Now as the houses give way to apartment blocks, the terraces belong to everyone and thus to no one. In retrospect this book is a valentine to terraces. A book about family secrets and the shadows they cast. In the 19th in a series of posts on 2015 books entered for The Story Prize, Saadia Faruqi, author of Brick Walls (FB Publishing), discusses using made up stories to convey real truths. Since Brick Walls has been published I’ve had the opportunity to visit a lot of cities and give a lot of talks. I’ve spoken to a diverse audience about my interfaith work, my article writing, my non-profit consulting. The most frequent question I get asked, though, is why I decided to write fiction. I’ve been writing for years, and it’s mostly been boring, technical, non-creative work. Where did the sudden urge to write not one but seven short stories come from? It’s an interesting question, of course, one that every writer is asked at some time or the other in their career. Why write fiction? Why not knit or paint or work in a real office at a real job like normal people? Why spin stories, of all things? Really, why? That’s a good question. At one book signing I decided to explain my emotions at switching from non-fiction to short fiction writing. I believe the exact question was, “how did it feel when you started writing short stories?” There was a long pause as I tried to collect my thoughts. Then I clumsily tried to explain that it felt like taking a shower naked in the rain. Imagine the shock at hearing such a – naked – statement coming out of the mouth of a hijab-wearing, fully covered Muslim woman. I don’t know why I said what I did, and followed it further by talking about passion, exhilaration, freedom. It was the only way to let my audience know the immense difference between the two forms of writing. Freedom. Fiction is such an invigorating and enriching form of writing. There are no statistics, no facts, no truth, except the truth in the writer’s head. There is no right or wrong, no correct or incorrect way of relating events. Does a writer have responsibility to get facts straight? Absolutely, as long as they are related as facts. The thing with fiction is that we can bend information to suit the story, the plot, even the characters. Certainly this causes problems for people who have mistakenly started reading a book to get some facts. Do you think you can learn about China by reading a fiction about Chinese immigrants? Can you learn about America by reading Stephen King or John Grisham? Can you even learn about Pakistan by reading my book Brick Walls? There is no right answer because the question itself is strange. How can you learn anything by reading fiction? For fiction is imagination, creativity, fun-filled falsities that mean not to harm but to entertain. Admittedly I embarked upon this journey—to write short story fiction—in order to show readers the true beauty of my birthplace, Pakistan. I was frustrated by the lack, in our media, of factual information about Pakistan away from stereotypical images, so I decided to write some non-factual stories based in that country. Storytelling is a great way to tell people a little something that helps them see the big picture without getting caught up in the facts and figures. Storytelling is a far richer and more vibrant way to say something, even though you’re not using any pie charts or citing any research from an academic journal you can only access if you work in a university. When we read a research paper aloud, people fall asleep. When we tell a story, people are jolted awake, and if the story is great they’ll be thinking about it for the next few days. That’s my motivation to switch from the non-fiction to the fiction format: to jolt people awake, to get them talking, discussing, understanding, perhaps even accepting. My hope: to tell it like it is, but in a story format, so that it is true but not true, correct but not really. None of the things in the book really happened, but all of them happen every single day. Does that make a lick of sense? If yes, then I’ve done my job as a writer.